1997 REGAL 1998 REGAL 1999 REGAL 2000 REGAL 2001 REGAL 2002 REGAL 2003 REGAL 2004 REGAL. 1997 CENTURY 1998 CENTURY 1999 CENTURY 2000 CENTURY 2001 CENTURY 2002 CENTURY 2003 CENTURY 2004 CENTURY 2005 CENTURY. 2000-2005 Buick Century Base Sedan 4-Door Trunk. 2000-2005 Buick Century Custom Sedan 4-Door Trunk. 2000-2002 Buick Century Limited Sedan 4-Door Trunk. 2004-2005 Buick Century Limited Sedan 4-Door Trunk. Item Description : Vehicle Location : Trunk Extended Length [in] : 11.63" Compressed Length B [in] : 7.96" Patented Multi-Lobe Seal makes gas springs more tolerant to vibration and temperature extremes Twin Tube internal construction-Premium gas-charged cylinders Direct fit,Ensures easy installation and precise operation Individually tested for performance and reliability Brand new and warranty offered! !​ This Listing is for 2 Supports which fit the Following Applications :. 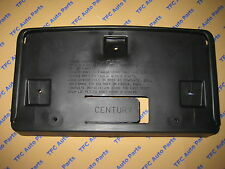 1999-2005 for Buick Century. 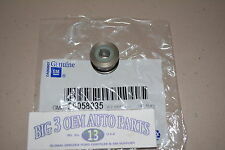 2000-2004 for Buick Regal. 1 pair Lift Supports. Limited Sedan 4-Door. Custom Sedan 4-Door. LS Sedan 4-Door. GS Sedan 4-Door. 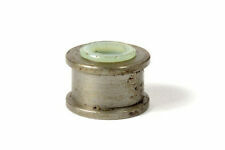 Heavy gauge steel pressure tube provides long life; Teflon backup ring gives enhanced performance. Part Number: 94007. AVS Original Ventvisor's™ customized design mounts in minutes to the outside of your vehicle using pre-applied 3M adhesive mounting tape; no drilling or special hardware required. Only the part as shown in the pictures. We strive to earn 100% perfect "FIVE-STAR" scores from you. We strive to earn 100% perfect "FIVE-STAR" scores from you. Trending at $43.78eBay determines this price through a machine learned model of the product's sale prices within the last 90 days. 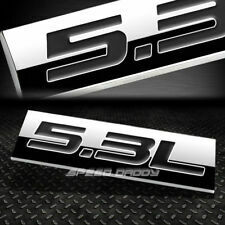 Buick 3D Logo Mirror Finish Stainless Steel. Mirror Finish Stainless Steel Plate. Stainless Steel will not corrode or fade. 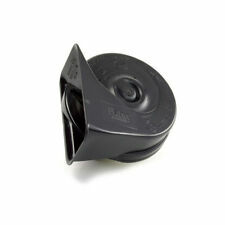 Includes Screw Cap Cover for a clean finish look. 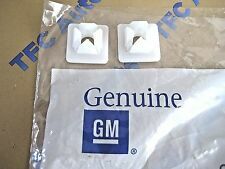 Genuine GM Parts & Accessories 100% Satisfaction! 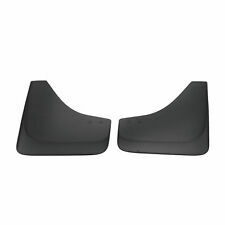 Auto Ventshade Ventvisor part number 94007 is a set of custom fitted side wind deflectors. AVS rain guards install just above the window preventing rain from entering of the widow is left partially open. Ventshade window visors have a dark black smoked finish and install using 3M double sided tape. AVS 94007 is a complete kit that includes both front and rear vent visors with preinstalled tape as well as everything needed for installation. Rocker Panel Fits Buick Century 0823-104 Key Parts. 1997 Buick Regal Rocker Panel Right. 1998 Buick Regal Rocker Panel Right. 1999 Buick Regal Rocker Panel Right. 2000 Buick Regal Rocker Panel Right. 1997 Buick Century Rocker Panel Right. Trending at $19.96eBay determines this price through a machine learned model of the product's sale prices within the last 90 days. We strive to earn 100% perfect "FIVE-STAR" scores from you. 2000-2005, 1985-1997. 1994-1996, 1991. Allow the fresh air to enter your vehicle while keeping out the rain. AVS vent shade Tape-On rain guards are constructed from a high strength acrylic making them long lasting and durable. AVS Tape-On visors easily install on the outside part of the window in minutes. Stainless Steel Plate. Stainless Steel will not corrode or fade. Crafted in sleek calf leather bi-fold keychain. -1x Red Leather Buick Logo key chain. 3D Logo will never fade. 1975 Buick Apollo Base Hatchback 2-Door Hatch. 1975 Buick Apollo SR Hatchback 2-Door Hatch. 2PCS REAR HATCH LIFT SUPPORTS Fits 1975-1977 Buick Century etc. 1975-1979 Chevrolet Nova Base Hatchback 2-Door Hatch. Made from Stainless Steel and will not corrode or fade. Made from Stainless Steel. Made in USA using Stainless Steel Material. Designed with Tabs to hold your plate and prevent rattling noise while driving. Buick Bright Mirror Finish Stainless Steel. Made from Stainless Steel and will not corrode or fade. Made from Stainless Steel. Made in USA using Stainless Steel Material. Designed with Tabs to hold your plate and prevent rattling noise while driving. 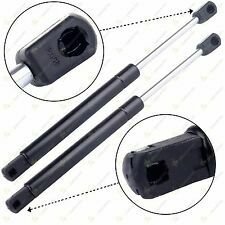 2PCS REAR WINDOW GLASS LIFT SUPPORTS FITS 1982-1983 Buick Regal etc. 1979 Buick Century Custom Wagon 4-Door Rear Window Glass. 1981 Buick Century Custom Wagon 4-Door Rear Window Glass. 1980-1981 Buick Century Estate Wagon Wagon 4-Door Rear Window Glass. Stainless Steel Platewith Black Powder Coat. Stainless Steel will not corrode or fade. 1998 Buick Regal 25th Anniversary Edition Sedan 4-Door Trunk. 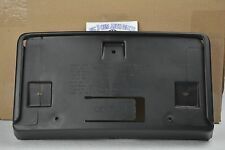 1997-1998 Buick Regal GS Sedan 4-Door Trunk. 1997-1998 Buick Regal LS Sedan 4-Door Trunk. 2PCS REAR TRUNK LIFT SUPPORTS Fits 1997-1998 Buick Century etc. 1978 1979 1980 Century, Century Custom 2-Door Model# AH87. 1978 1979 1980 Century Limited, Century Sport Coupe 2-Door Model# AH87. 1 SET (of 4 Each) Door Pull Strap Trim - COVER. Inner Door Pull Strap Trim - COVER. 45-Day Guarantee! Quality Sales And Service Since 1986! 1978 Century Custom, Century Limited, Century Sport Coupe Model# AH87 2-Door. 1978 Century Custom, Century Limited Model# AH09 4-Door. Door Pull Strap Escutcheon - COVER Set. Buick Century Application: (Except: 1979 1980 Model Year ). Part Number 10255150. Buick Century. We have more than 15 years of OEM parts experience. Note If you are unsure if this is correct for your vehicle. Trending at $39.39eBay determines this price through a machine learned model of the product's sale prices within the last 90 days. 1982-1983 Buick Regal Estate Wagon 4-Door Rear Window Glass. 1979 Buick Century Custom Wagon 4-Door Rear Window Glass. 1981 Buick Century Custom Wagon 4-Door Rear Window Glass. 1980-1981 Buick Century Estate Wagon Wagon 4-Door Rear Window Glass. Constructed from stainless steel. Our inventory includes the best selections from a variety of categories that fit your lifestyle's needs. Acrylic plate is the most economical and light weight alternative to steel plates. Buick Logo on Black Mirror. Includes Screw Cap for a Clean Finish Look. 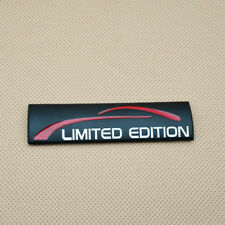 OEM Emblem Used. Trending at $22.98eBay determines this price through a machine learned model of the product's sale prices within the last 90 days.